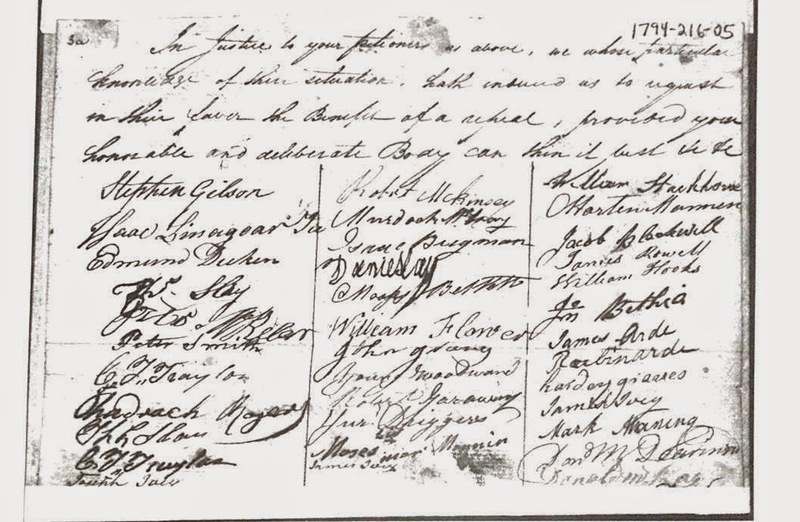 This petition, and the associated statement of supporters, was filed 20 April 1794 in South Carolina in an effort to overturn the Poll tax. 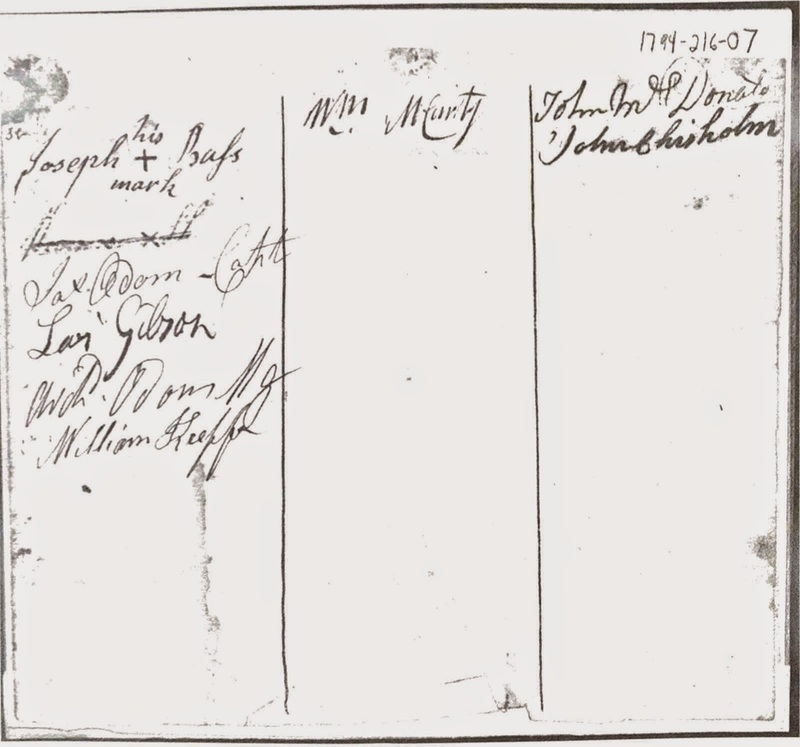 Among it's signers are the Turners, the family of my 5th great grandfather, John Turner, which is how I encountered this document. This entire journey through my own history, dove tailing my experiences with inequalities that still exist in our modern society, has been an eye opening experience in the most horrific of ways. This post isn't about politics, it's about a thing that happened that my ancestors were involved in - but I believe that I would be remiss in my understanding of the experiences of my ancestors, which is the point of my research, without noting two things about this document that highlight the stunning inequality between people of color and white people, at the time. First, the people of color who are making the petition, in large part, all make a mark rather than signing. Generally, this is because they are unable to read or write. Conversely, presumably, the statement of supporters was signed by white people who support the petition. All of those people, save one, can sign their own names. Second, this petition, made by people of color, presumably because their own stake in having the poll tax repealed, clearly states the adverse affects of the poll tax against women, specifically. We know now, that what these petitioners said in this document was the truth, and still the tiniest sliver of the whole truth which was that the poll tax unjustly affected people of color, women and the poor and was a way to discriminate against them without blatantly denying rights. Poll taxes were finally abolished in 1964, 170 years later, with the 24th amendment - but for over 200 years, poll taxes, and the unequal duress is caused for the poor, people of color and women, was supported by our society. We (Americans) voted for it, insisted upon it, supported it, allowed it and encouraged it. Let's not continue to do that, please. Let's question why we believe things to be 'right', 'just' or 'fair'. Let's question institutionalized norms in the interest of allowing all of our humans to have a fair shake at happiness, in the shape and form that takes for them. Just because that's how the system is or that's how it's been done for longer than we've been alive, doesn't make it right. 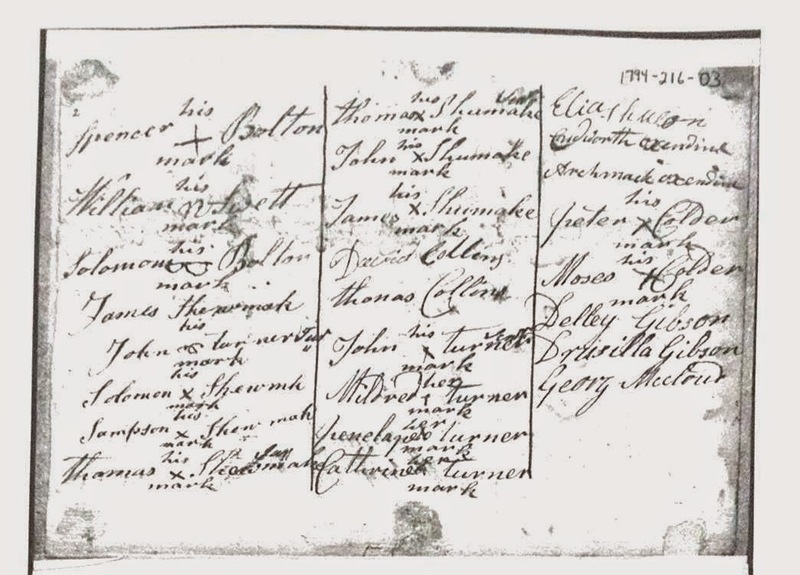 Each page is displayed below along with a text version and a list of signers. Right click the image and choose 'view in new tab' to see a larger version of it or right click and 'save as' to download a copy for yourself. 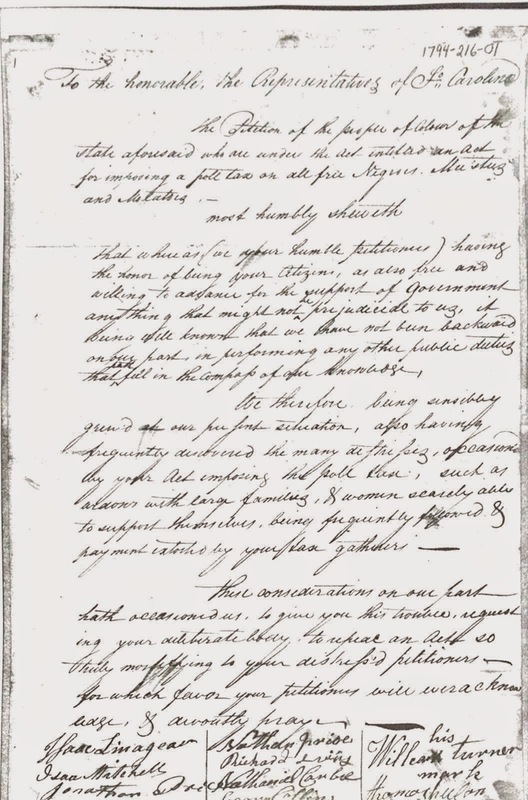 In Justice to your petitioners as above, we whose particular knowledge of their situation hath induced us to request in their favor the benefit of a repeal, provided your honorable and deliberate body can then it best to do. Petition of Free People of Color Asking that an Act to Impose a Poll [Tax] be Repealed. General Assembly Petitions 1794 # 216, frames 369-374. Roll ST 1368. Thank you for posting this, my 6x great grandfather is the Solomon Shumake/Shoemake and the James Shoemake is either Solomon's father or brother. I believe his other brother Sampson also made his mark. Richard Evans is an ancestor of mine. His older brother Arthur first relocated from Granville County, NS to Bladen County, NC before heading to SC. He was in the household of James Doyle/Dyal/Dial who also relocated from Granville County. Richard Evans arrived later and was in the Robeson County Cenwus in 1790. Apparently he moved between SC and NC. The Shoemake family lived proximate to Major Evans and his wife in Granville County and were on the 1764 tax list there. Arthur was under the care of Major before he m moved with the Doyle/Dyal/Dial family to Bladen County. I'm interested in identifying where the others came from. Would you like to collaborate?